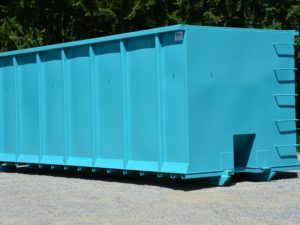 Stud Wall Roll Off Container | Steel Container Systems Inc.
Stud wall roll off containers are the work horse of waste disposal. Designed with superior strength and durability in mind, stud walls fill a variety of needs in the waste, construction, forestry, mining and oil and gas industries. 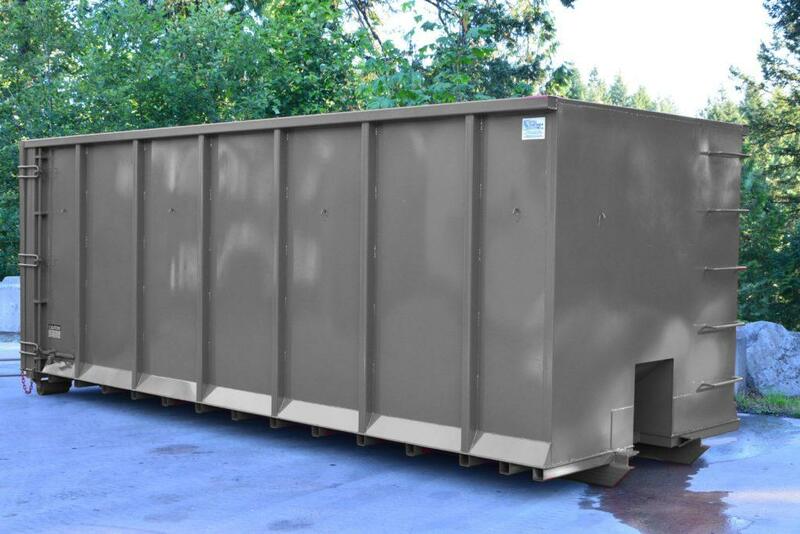 Available in lengths from 12-20 feet and 12-44 cubic yard capacity, they are your ideal choice for large roll off containers. Standard FeaturesDo You Need A Unique Feature? Tell Us What You Need. Our CWB certified welders & welding procedures guarantee exceptional weld quality. Eliminate breakdowns and reduce the overall life-cycle maintenance costs. SCS manufacturers all stud wall roll off bins above industry standards! SCS bins have additional wall studs and cross member spacing, to create a stronger more durable container. SCS Stud Wall Roll Off Containers have 3 door latch designs to choose from. Each application is unique, get a latch to suit your jobs exact needs. 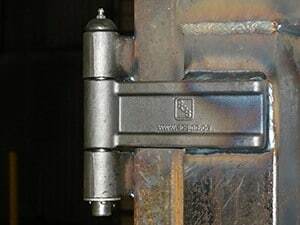 Heavy duty drop forged cast steel door hinges with grease fitting ensures an easy open door. Available OptionsTell Us Exactly What You Need, We Can Build It. 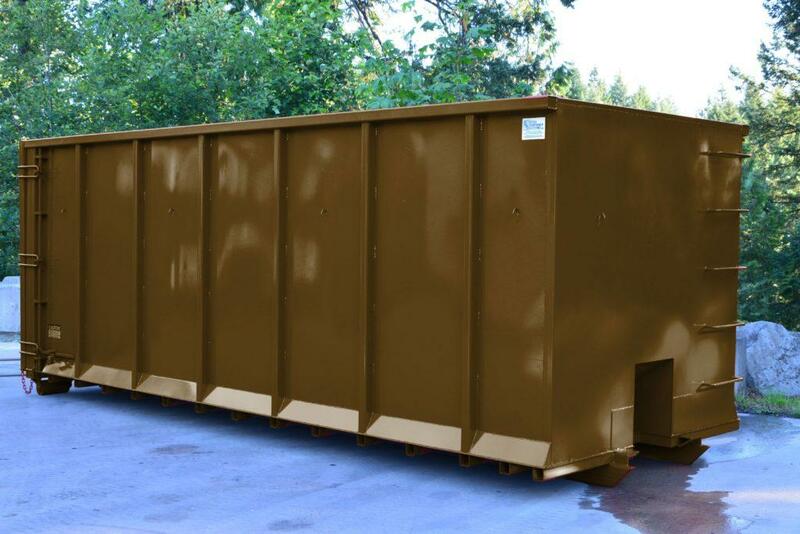 Increase the strength and durability of your bin with 10 gauge steel or a 3/16″ wall, front & door sheet. Tailor the bin to your specific application! 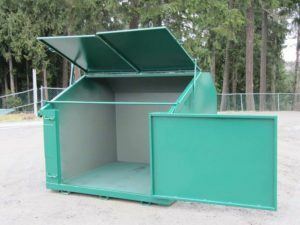 We offer a fixed roof or hydraulic lid with access hatches as well as an available sealed rear door. 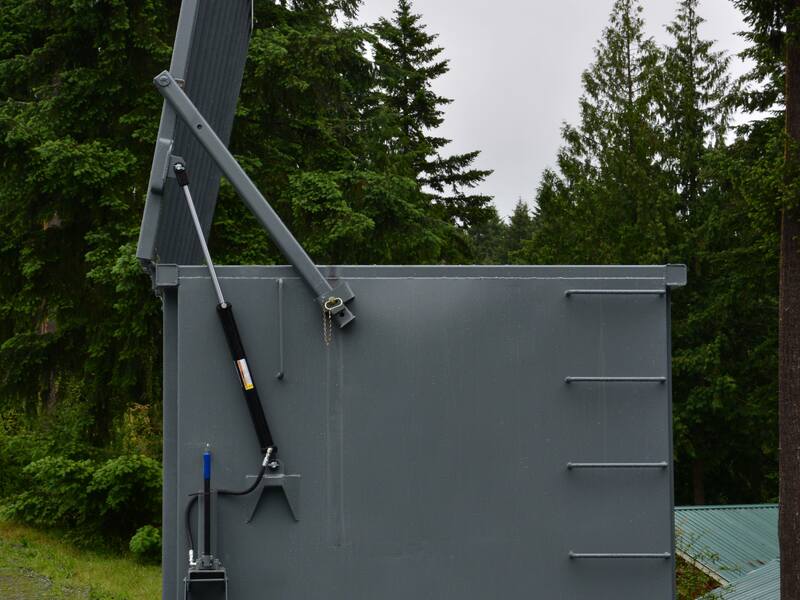 SCS Roll Off Bins can be fit for any under structure hook lift, cable, live roll, bail hook(Dempster) or dual purpose system. Increase the strength and durability of your Stud Wall with heavy duty floor options 1/4″, 5/16″ and 3/8″ thick steel plate.